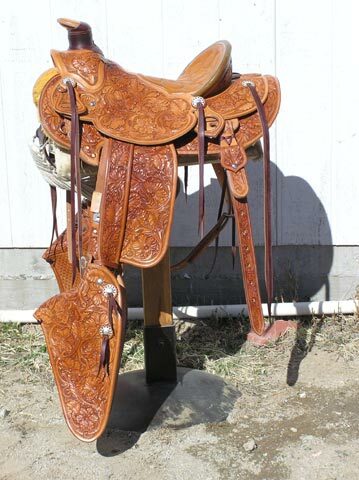 Extras: Blevins buckles, tapaderos 20″, sterling string conchos, sterling heart on cantle back. No introduction is needed.The old standby 3B. Slick fork used by some of the hardest riding cowmen in the Business. A working saddle of proven dependability. May be ordered with any changes you want.